2-26-2019 - Des Moines, IA. — HBC International LLC has become a distributor for the Midwest of Churchill, the prestigious British brand of China and dinnerware. HBC International LLC launches Septime Management, its restaurant management division. 1/18/2019. Adel, IA – HBC International LLC announced the launch of Septime Management, its restaurant management division. Septime Management will provide services such as H.R. services (hiring, training, payroll), financial services (bookkeeping, vendor payments) and operation management (purchasing process, mail management). 1-14-2019. – Adel, IA. 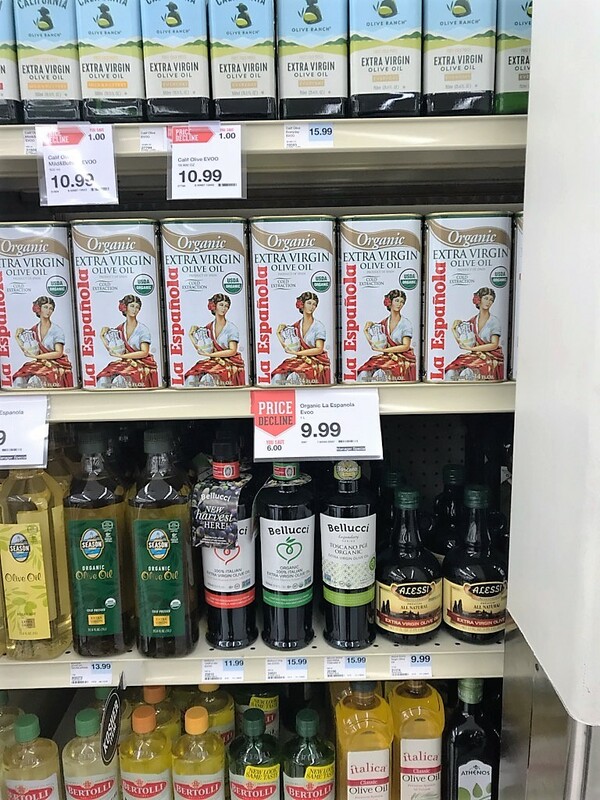 HBC International LLC and HyVee of Windsor Heights have agreed on the commercialization of the Extra Virgin Olive Oil (EVOO) La Espanola. La Espanola is the leading olive oil brand of Acesur, a Spanish company producing and packaging olive oil for 150 years. ACESUR is still a family based competitive and dynamic company. The success of this pilot could see The Espanola brand entering of all the HyVee of the Greater Des Moines. 01-14-2019. Des Moines, IA. – HBC International LLC, based in Adel, IA, has announced the acquisition of Terrasur Brands Corp, a Florida company providing specialty food products. Founded in 2007 by Chef Marc Navailles, Miami-based Terrasur Brands Corp represents unique food suppliers from Spain, Portugal and Morocco. Terrasur Brands will become the specialty food arm of HBC International LLC and bring renowned brands like Pescanova, Pafritas, Albeniz or Ibericos Montaraz to Iowa. Des Moines - 9/24/2018. HBC International LLC has become a distributor of the Corelle Brands products, including Corelle, Pyrex and Snapware. Corelle Brands designs, manufactures and markets products for cooking and sharing food. Their portfolio of brands has been in the homes and hearts of families across the world for over 100 years. Corelle Brands is made up of a team of employees working in offices around the globe. They have manufacturing, product development and distribution operations in the United States and the Asia-Pacific region, and retail channels around the world. The distribution of Corelle products allows HBC International LLC to expand its line of restaurant furnishing products. 08-16-2018 - Des Moines. HBC International LLC becomes a reseller of Oak Street Manufacturing’s restaurant furnishing. Since 1995, Oak Street Manufacturing has been producing and distributing restaurant furnishing in Monticello, Iowa. Oak Street Manufacturing success comes from hard work, dedication, and a vision for the future. As a result of their commitment to the restaurant industry, Oak Street Manufacturing distributes quality restaurant solutions for dealers and wholesalers nationwide, Canada and Haiti. 08-02-2018, Des Moines, Iowa - HBC International LLC has reached a partnership agreement with Hakka Brothers Machinery Co.,LTD. to become the second company to have a partnership with Hakka Bothers in the USA. and the first distributor in the Midwest and on the East coast. Since its creation in 2004, Hakka Brothers is a manufacturer company specialized in food processing and kitchen appliance, and its competitive prices and good quality contribute to Hakka Brothers's reputation. Hakka Bothers provides hotels and restaurants with a wide range of food equipments and preparation, like meat gridner/mincer, sausage stuffer, spiral mxier/dough mixer, food mixer, meat slicer, Electric Fryer, Gas Fryer, Barbecue stove, hot dog warmer, fruit juicer, Tenderizer,Worktable, dining car, kitchen equipments and food processing machine. Hakka Brothers is holder of quality norms UKAS, ISO90001:2000 Quality management system and ISO14001:2000 Enviroment management system. Hakka Brothers's appliances are sold worlwide, in over 40 countries, including the US. 2018-06-12. Des Moines, IA – HBC International LLC has announced today taking control of Grand Prairie Wines Ltd, a beverage broker located in Adel, Iowa. Grand Prairie Wines will be held at 100% by HBC International LLC and will regroup all the beverage activities (wines and spirits) of HBC International LLC. 2018-06-11. Des Moines, IA – HBC International LLC has announced today its intention to open a subsidiary in France this summer. The new entity, named HBC France SAS will be owned at 70% by HBC International LLC and by 30% from a French investor. The new company will first focus on importing and distributing American products for the hospitality and food industry. HBC France SAS is set to start its activities in August 2018. HBC International LLC announces a partnership with Lesieur Cristal SA for the US market. Adel, IA – May 1st, 2018 – HBC International LLC has announced a partnership with Lesieur Cristal SA, a subsidiary of Lesieur SA, a world leader in alimentation oils and sauces a part of the Avril Group. HBC International LLC will represent Lesieur Cristal in the states of Iowa, Kansas, Minnesota, Nebraska, Illinois, Ohio, and Colorado, including their flagship product Domaine de Kalea, a 100% pure extra virgin olive oil made from the picholine olive. HBC International LLC and Lesieur Cristal aim to become a major player on the US olive oil market which has a strong demand for the extra virgin olive oil. You can contact HBC International LLC at info@hbcinternationalllc.com for any information about our olive oil offering. Adel, IA - January 25th, 2018. HBC International LLC has been mandated by +39 LLC to close their restaurant in downtown Des Moines. For any information, please contact info@hbcinternationalllc.com. Adel, IA - October 19th, 2017 - We are delighted to announce that we reached an agreement with Albert de Montaubert & Fils to bring their fabulous Cognac and Armagnac to the US!! Originated from 1728, the Chateau is still alive with years of history, Chateau de Claudette focus on making more mellow Single Vintage Cognac of Grande Champagne for cognac collectors. By inheriting its secret recipe and brewing process in succession, it produces mellow and silky, charming and fragrant, smooth and balanced Montaubert Cognac of lasting fragrance with a variety of extraordinary superior "life of water" mixed, being rated as the model of top cognac. Adel - October 1st, 2017. HBC International LLC is launching the VIP Dining Passport program in the Des Moines, IA area. The concept is simple, you purchase a pass card for $25 and you get a 15% discount on food in the participating restaurant. Information on the participating restaurants and conditions are available on the VIP Dining Passport website.